Air purifier inside the car can promise better air quality whilst you are driving on a polluted road. 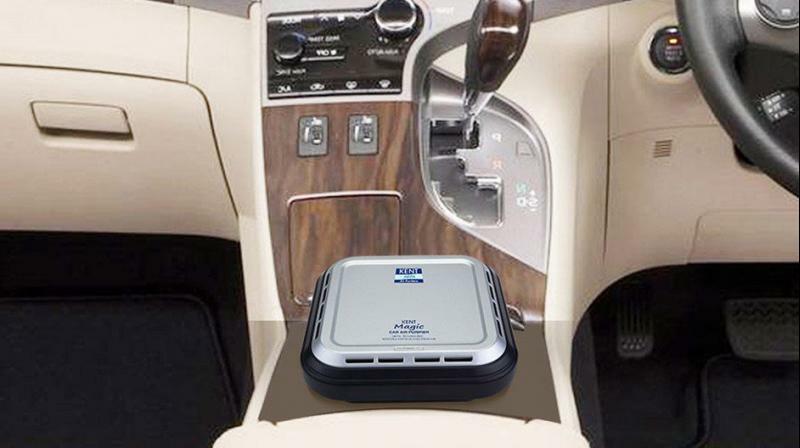 Kent Magic Hepa Car Air Purifier is a simple no brainer car air purification solution and is priced at an MRP of Rs 7,999. With an increasing number of cars on the road today, it only speaks about the number of commuters that are out on the streets. Passengers inside a car think that rolling up the windows and turning on the air conditioners can keep them safe from the pollution that is outside. Well, while it could be partially right, it is definitely not true. The air trapped inside the car is also filled with dangerous gases that were let in when the doors and windows were open. This trapped air needs to be filtered too. And what can help here is an air purifier that can efficiently do the job. Kent RO had recently launched an air purifier for cars and we tested one on the go. How did it fair and is it as effective? Let’s check it out. 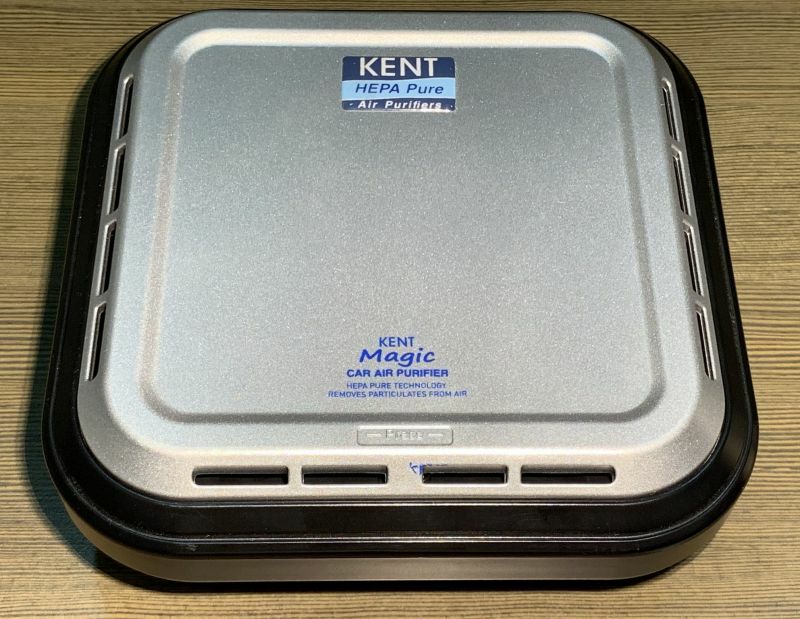 The Kent Magic Hepa Car air purifier is a simple tiny air purifier that is about the size of a small school lunch box. It features vents on the top and bottom that channel the air through the built-in HEPA filter. Air is sucked in from the top, which is forced through a HEPA filter and clean air is then let out through the bottom. The top of the unit has a door that houses the HEPA filter. Below the filter is a suction fan. The air purifier has absolutely no buttons or control panel and does not have any display or LEDs. It is a simple unit with a fan and filter. A power socket is provided on the rear bottom end which plugs into the car’s cigarette lighter port. The lighter port connector features a toggle switch with three positions. Toggling left and right increases/decreases the fan’s speed while leaving it in the centre switches it off. The unit is a no-brainer to operate and is kept very simple. It retails for Rs 7,999 and comes with a single filter and a power cord. Apparently, while this review was being written, we saw a limited period offer and the unit was being sold for as cheap as Rs 2,997 on Amazon. 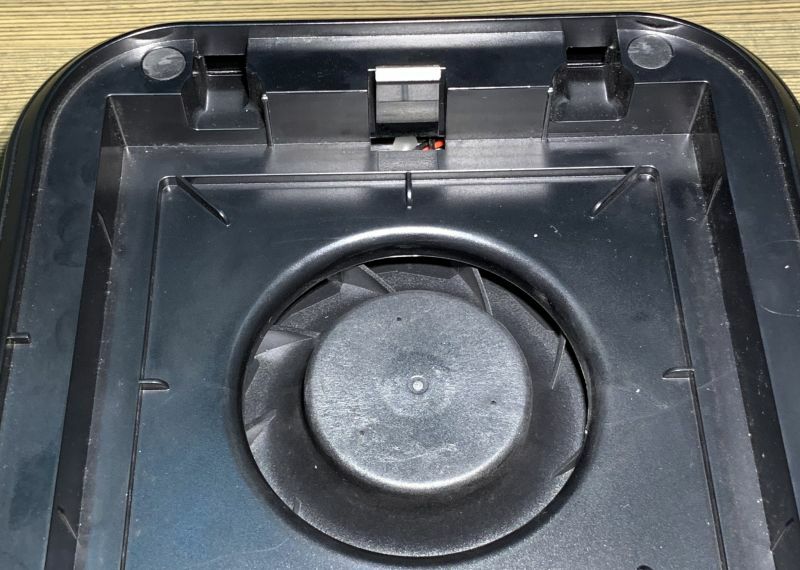 As for the performance, we found this air purifier to be pretty effective, but there were concerns about the product’s use and the way it would be used by the end user. Let’s check out some of the pros first, and later move down to the cons. The filter used here is pretty effective. 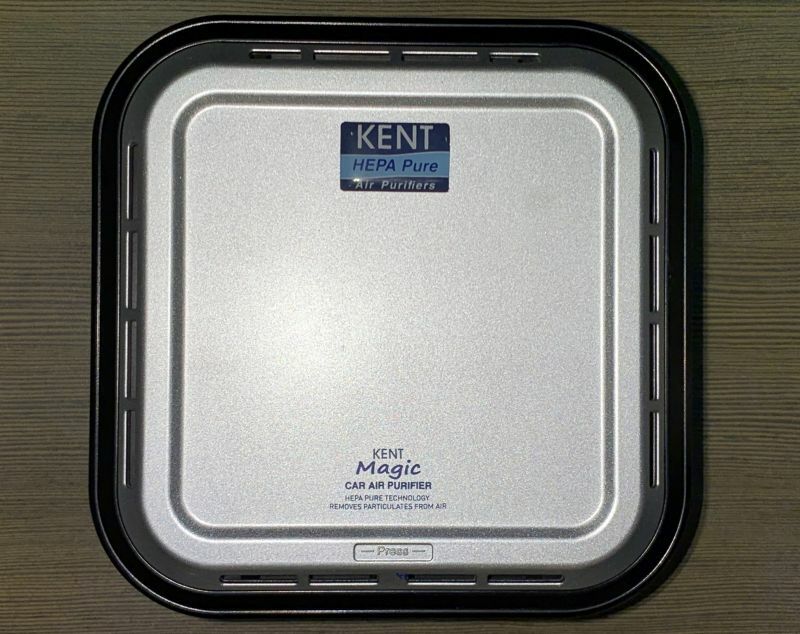 Kent has used a HEPA-based filter that also features activated carbon granules. While the HEPA filter can take care of dust as tiny as PM2.5, the activated carbon ensures that the air is free from more than dust. It blocks odour, gases and also traps finer particles and gases. When air is passed through this filter, you can be sure that the filters work their way to reduce dust, gases and odours. Kent claims that this is a specially treated activated carbon filter that effectively absorbs any odour/foul smell in the air, volatile organic compounds, oxides of sulphide and nitrogen, hydrocarbons, cigarette smoke, dust, pet odour, etc. Kent also mentions that the air purifier features an ionizer to further help improve the air quality. However, we failed to spot the ionizer inside the air purifier as the unit looks like a simple filter-fan assembly and nothing more. The air purification works. It helps reduce the number of dust particles inside the cabin to a large extent. 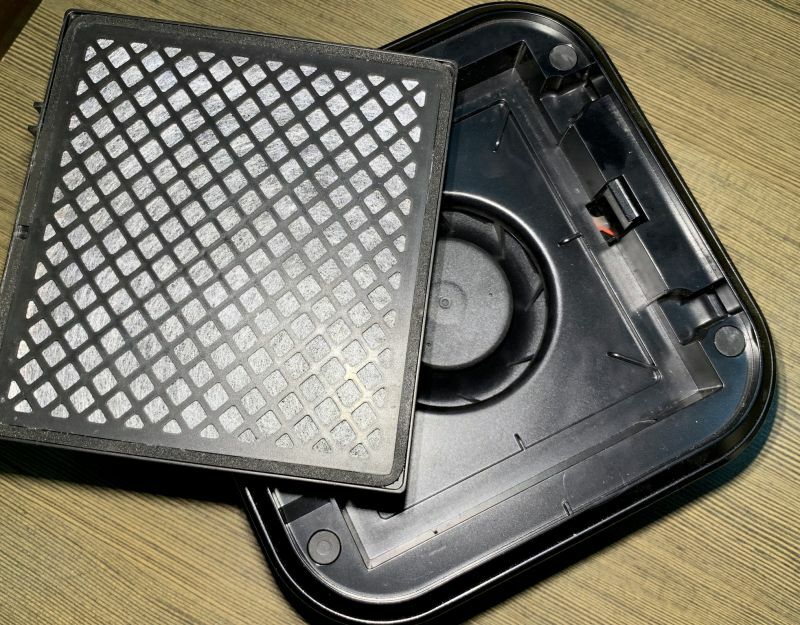 Filter: While the filter seems effective, we were unable to find a replacement filter online. And neither Kent has featured filter replacements on their website. Kent has also not mentioned the replacement time or life with regards to the filter. Lastly, we still don’t know how much it costs. Filters need to be replaced on time as they have a said life when their saturation levels are nearing. Usual air purifiers at home need replacements in around 180 days, but in the case of a car air purifier, you may have to change them sooner, depending on your usage. The filter here is also pretty small. It is around 5-inches (squarish in size). A larger filter helps faster purification and more life. Power: While this draws 12V of power from your car, it occupies the car’s cigarette lighter port. 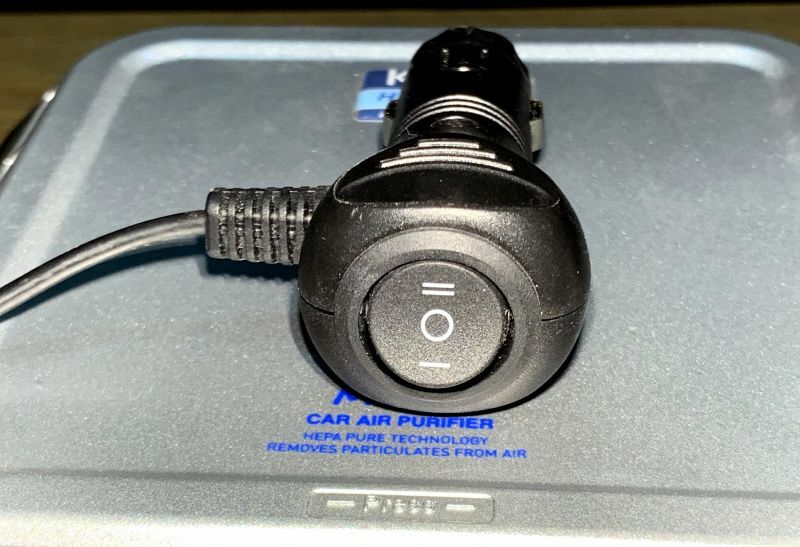 Using this air purifier, you will have to sacrifice your car’s phone charging, or any other accessory you may be using in the car that needs the cigarette lighter port. You would have to end up buying a cigarette lighter port splitter for your car if you want to use multiple accessories in the car. However, doing so could also make your car look ugly within. Kent should have provided the splitter arrangement in the unit itself. Either a splitter or a USB port on the unit/adapter would have helped out the consumer. Status/monitoring: There is no information on the unit as to power or pollution /purification levels. The unit has no LEDs that denote its power status, and neither is there any sensor inside the unit that helps automate the purification. Usual air purifiers indicate the air quality, but here you don’t know what are the levels pre and post using the unit. The purifier has no intelligence, whatsoever. 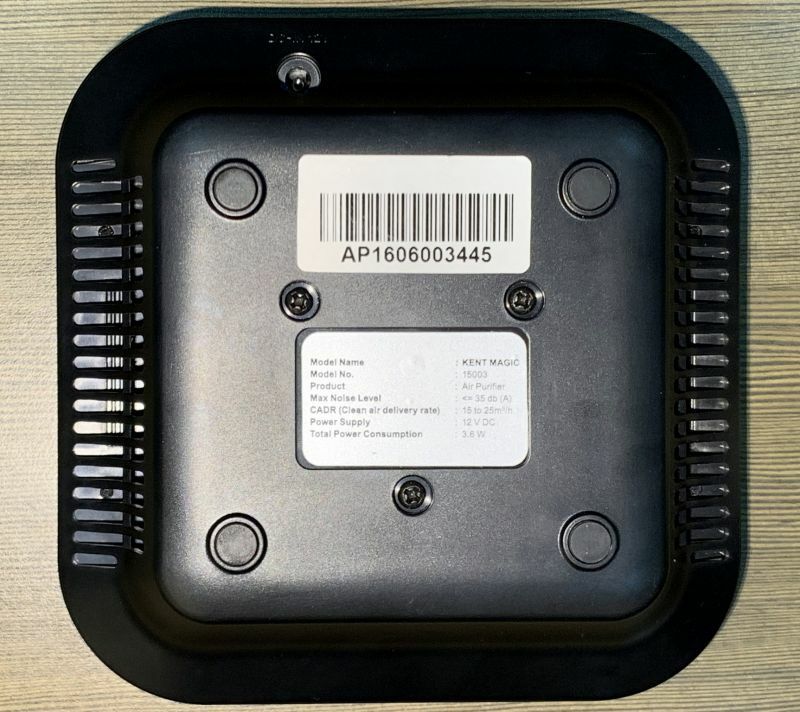 There could have been a wireless communication to a smartphone app and the consumer could finally know important information such as air quality, power status, speed, filter stats and alike. 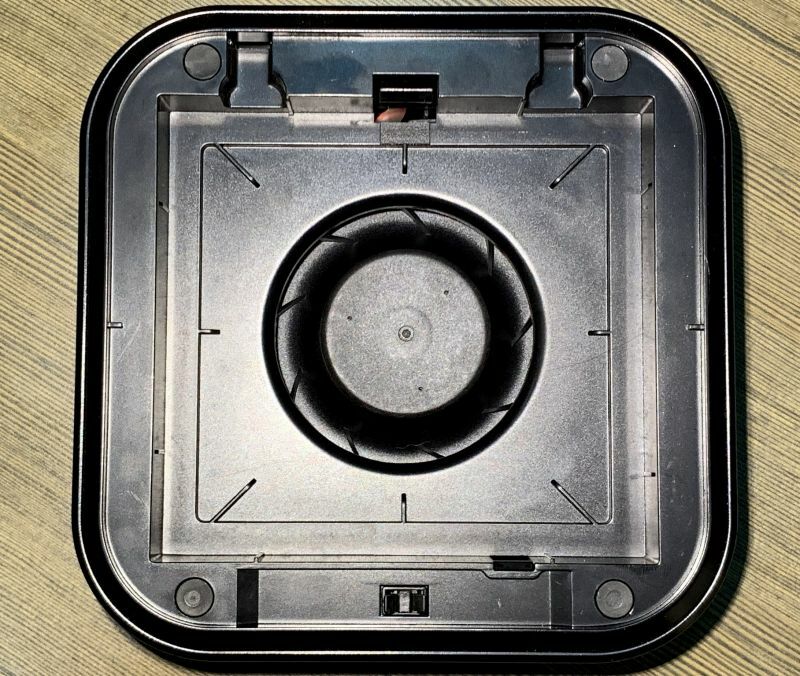 Mounting: the unit has four rubber pegs that help you place it on your dashboard. However, not all dashboards are flat and the unit could slip off or not fit at all. This would force you to place the unit near the hand brake or on the rear seat, pushing the power cord to distract you when using the gears. Unless your car has a cigarette lighter port on the rear seat, we see this as a problem. There is no wall/ceiling mount either, which could help place the unit out of the way for the driver to concentrate on his driving. Noise: yes, the unit is noisy, especially when set to high. If you are not used to a whizzing fan in your car, then you may find this irritating. The noise levels, though not as loud, can be pretty disturbing if you are not used to unwanted noises inside the cabin. Performance: This air purifier can be used only if you have all the windows rolled up. The moment you roll down the window or open a door, you let polluted air inside the cabin and the air purifier starts the entire process all over again. This means, if you are opening the door for multiple passengers during the journey, or if you are opening the window to pay for tolls, you are indirectly hitting the performance of the purifier. The air purifier has a small filter and has a CADR rate of 25m3/hour. It takes around 15 – 20 minutes (at least) to clean the entire air inside the cabin. While this could be good enough for those who drive for around 2 – 3 hours at a stretch, it is useless for those who have shorter rides. Also, the air purification totally depends on the area it is placed. 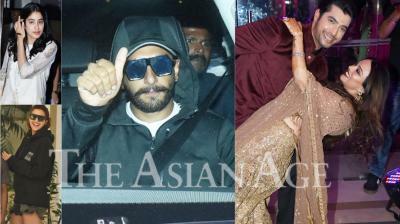 It effects differently at different places —dashboard, front seat, rear seat, centre of all seats, etc. Lastly, you cannot use this air purifier without the air conditioner turned on, unless you live in a colder place and won’t need the AC at all. However, with the AC turned on, the air purification is also handled partially by the AC cabin filter, which helps to reduce the dust at a faster rate. So if you are a person, who smokes, or likes to keep the windows down whilst driving, this product is useless for you. 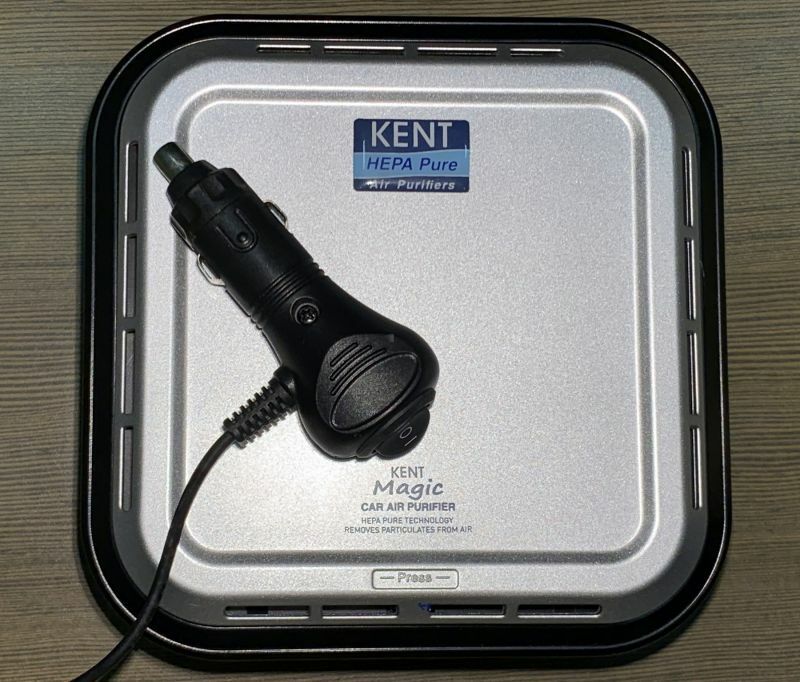 The Kent Magic Hepa Car air purifier is a great product to have in your car. It promises to purify the air you breathe inside the car’s cabin whilst on your journey. However, the purifier is ineffective if you keep the windows down, open the doors multiple times, or have a short journey lesser than half an hour or so. The product is simple to operate and deploy but is not smart enough to inform you about the pollution levels. 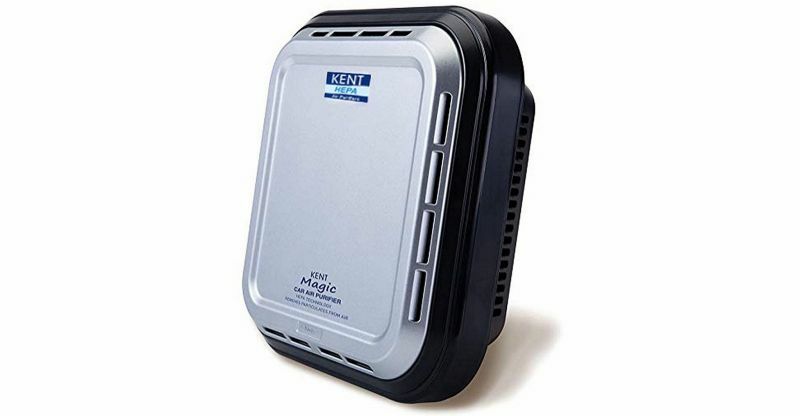 If you are seeking a simple air purifier for your car, then Kent’s Magic Hepa Car Air Purifier at Rs 2,997 (discounted period) is a steal, but at the original MRP of Rs 7,999, it is pretty expensive.